Let the sound of lapping water carry you away. Lagoon Day Spa image. A shirtless, shoeless man lurched out of a doorway to our right, all tousle-haired, dazed and disorientated, much like someone emerging from a fugue state. I took this to be a good sign. For we were in the waiting room of the Lagoon Day Spa at the Sunshine Coast's Novotel Twin Waters Resort, hoping for an experience that would be deeply relaxing if not transformative - even if it meant that we, too, would eventually stumble out, blinking comically, burdens lifted, barely able to remember our own names. [ADVERT]To say we were already feeling fairly relaxed would be putting it mildly. 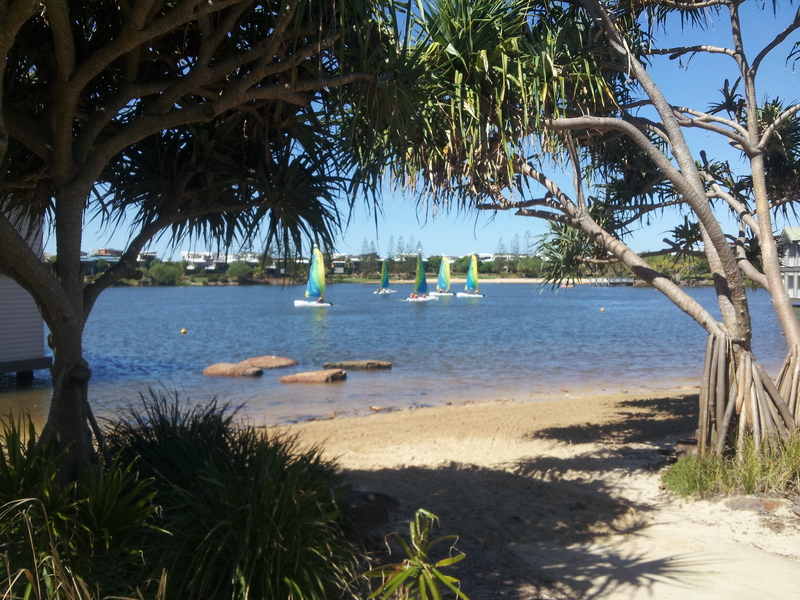 We'd spent the past few days at the Novotel Twin Waters Resort where the days were a blur of swimming, eating and sleeping. Fresh from an energetic morning kayaking and paddleboarding on the resort's vast lagoon (after which the spa is named), we were more than ready to zone right out. My companion decided to try a facial for the first time, which incorporated a deep cleanse, exfoliation, massage and mask treatment. Meanwhile, I opted for a scalp massage which the spa menu promised would 'send tingling sensations from scalp to toes and transport you to a more relaxing place'. Bring it on. I lay face-down on the table and let the masseur tease out the tension in my temples, soothe the sore bits in my shoulders and send my hundred-thousand hair follicles into a stupified state of bliss. I moved with glacial slowness when asked to turn onto my back. 'You seem to carry a lot of tension in your jaw,' my masseur observed before she set off on the considerable challenge of smoothing out the frown lines in my face. Surrender is so much easier in tropical surrounds. Author image. The Lagoon Day Spa boasts a strong massage presence, with a menu that includes aromatherapy massage (using pure essential oils), bamboo massage (using bamboo rods to knead and roll out knots and relax tense muscles) and hot stone massage. 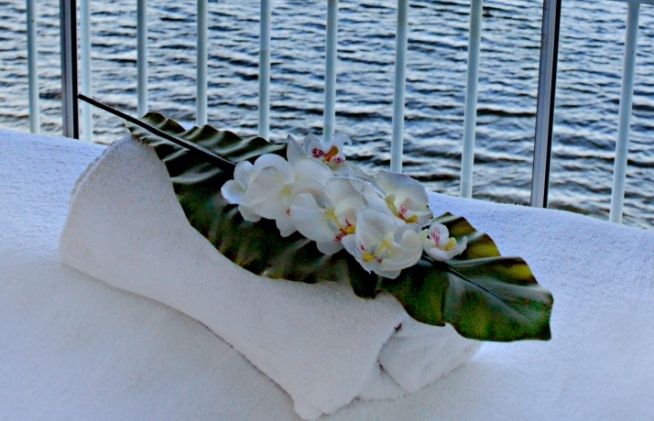 Those seeking body treatments, too, are well catered for, with coconut sugar scrubs, body wraps and spa soaks. And there are, of course, all the usual things you'd expect from a day spa - such as a variety of facials, manicures, pedicures, waxing, tinting, tanning and threading. Couples can opt to undertake treatments together. For example, the 'couples melting moments' package includes a massage and a spa bath for two, a glass of champagne each and a fruit and cheese platter to share. Other special packages combine a range of treatments that could see you blissing out for five hours or more. Because the Lagoon Day Spa is situated in a building that overhangs the water, spa-goers may hear the occasional joyful shouts of people enjoying the many watersports on offer, but I found this didn't detract from the soothing atmosphere at all. 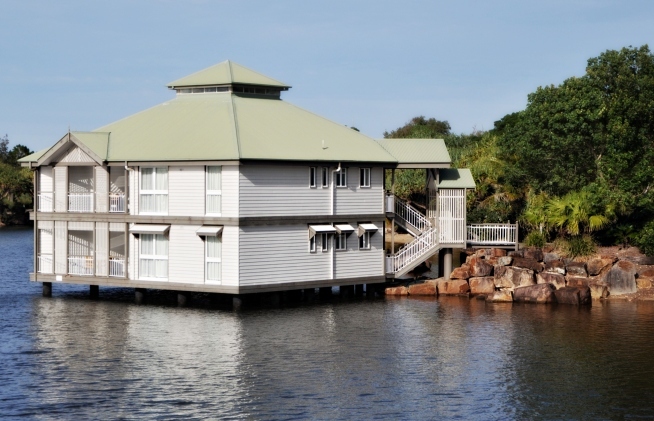 Fortunately, the spa is also located close to the Novotel Twin Waters Resort apartments, which means you can simply wander back to your room and collapse afterwards. Or (my preferred ending) saunter on down to the Aqua Lounge and Bar for a happy hour cocktail instead. Take a ticket to bliss. Lagoon Day Spa image.